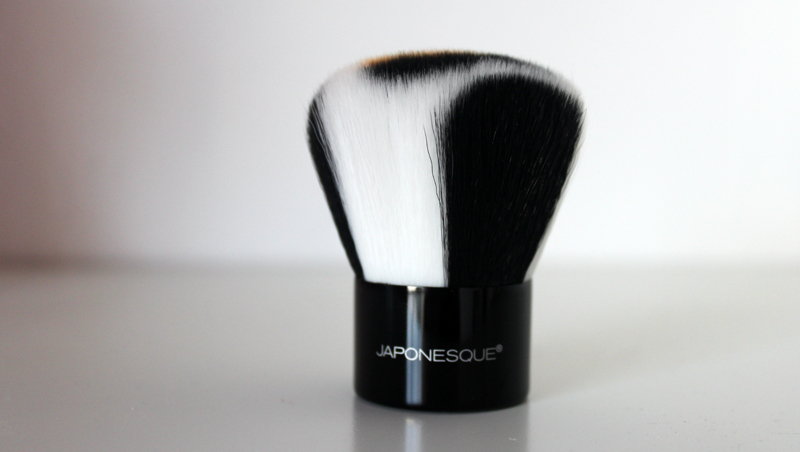 I’ve spoken about Japonesque in the past, I think that their brushes are such good value for money especially as they are such high quality so I was very happy when this new brush came through my door. 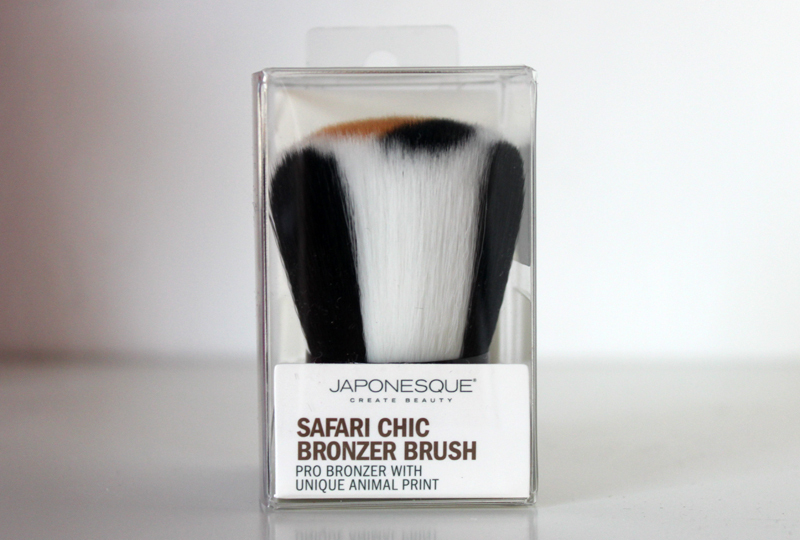 This brush is part of their new range which has this animal print on it- I have the bronzer brush with essentially a kabuki. It isn’t often you see professional quality brushes with Leopard print but I think I know why. To me this simply looks tacky and although I am sure lots of other people will love this I don’t. But horrible leopard print aside this is a great brush! It is amazingly soft and great for applying not only bronzer but also powder. I used it to apply a mineral foundation and it worked quite well as it buffed it in beautifully but it wasn’t a heavy application. Other than me not being a huge fan of the print I can not fault the brush itself- it is another great quality brush from Japonesque. If you like the print there are a few other pieces in the range too with the same animal print. This brush retail for £19.50 which I think is a really good price! What do you think of the animal print? 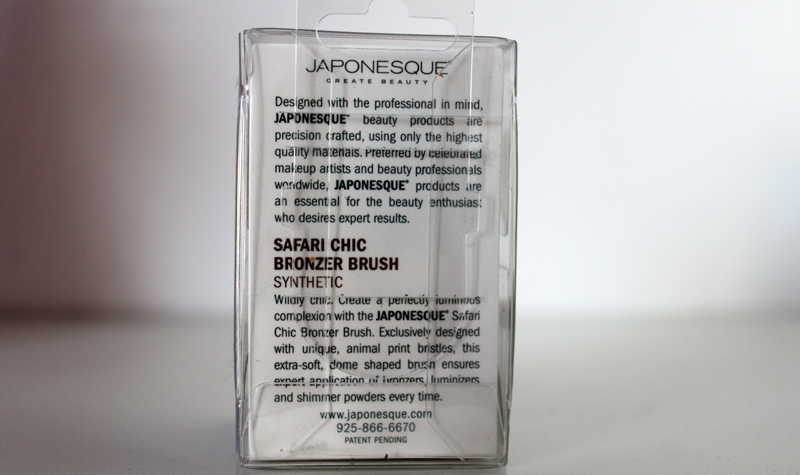 Last week I received a few brushes from Japonesque which I had been very excited about. I don’t know too much about the brand but I had heard very good things about all their brushes and had seen them in Boots and online, I noticed that in comparison to Mac brushes they were far more affordable. I got sent four of the brushes; three from the Professional long handle range and one travel short handle brush. The Professional Long handle brushes are have a long black wooden handle and are either have natural bristles or high-tech synthetic ones. The travel brushes have a shorter silver handle but are still well crafted and a travel friendly size. This brush is quite an unusual one in my opinion, it is a tapered quite dense brush which can be used for foundation, concealer or powder. I have been using this brush everyday since I got it, I use it to first apply my foundation and then to blend in my concealer, it is probably my favourite brush for concealer especially when I am try to cover slightly larger areas. 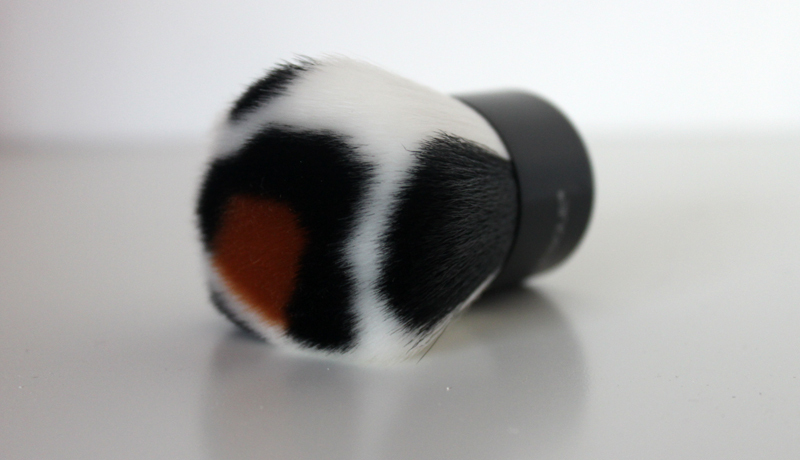 I would be interested in trying this brush for powder and mineral foundation too, I might have to buy a few more of these brushes so I can have one for powder. This brush has a distinctive tapered edge which is really nice as it allows you to apply it precisely around your nose and eyes.Although this brush overs a fabulous finish I personally don’t reach for it too much as it does take longer to blend all your foundation in, however if you are a fan of the traditional foundation brush and are looking for something similar but that will leave you with an even better finish this is the brush for you. This is a really nice eye brush, it is very soft, fluffy and a perfect size to apply eyeshadow all over the lid, in the crease and can even be used to blend the eyeshadow out, I’d love to get the large one too! I think this brush is perfect for finishing of a look by dusting some eyeshadow under the eye or along the lash line but also for the crease and outer corner. I haven’t tried it yet but I think it would even work as a lip liner! Looking through the Japonesque catalogue they have so many beautiful images and some fabulous product I hope to try throughout the year such as the stippling brush, mineral face brush and I have heard that their tweezers are one of the best! I also have a lipstick palette to share with you soon, so keep an eye out for that! I think that there is no difference between the pro and travel brushes other then the size, the quality has not been compromised. I will be picking up some more brushes very soon, I think they are just as good as any MAC Brushes I have tried.